At Autodesk, we treat our business operations as a living lab for collaboration, iteration and impact modelling. Our employees help drive the design-led revolution for sustainable business that is underway. We support them by fostering a culture of ethical behaviour and respect and expect the highest integrity in our interactions with each other, our customers and our suppliers and business partners. See how we integrate sustainability into one of our largest annual conferences. 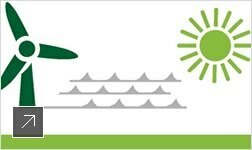 Learn how we work to decrease greenhouse gas (GHG) emissions across our value chain. Learn how we support the employees who drive our ongoing success. Autodesk is committed to improving our sustainable business practices while delivering products and services that enable sustainability. Aedas Interiors used Autodesk BIM solutions to design our Singapore office, one of the country's most environmentally friendly office spaces. 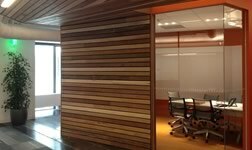 Our San Francisco office received LEED Platinum Certification for Commercial Interiors. In late 2011, Autodesk completed a major data centre upgrade, achieving a 62% reduction in power usage. The CDP 500 S&P Carbon Performance and Disclosure Leadership Indexes include Autodesk. 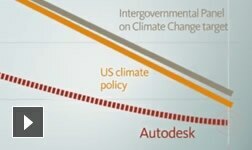 Maplecroft Climate Innovation Inedexes rates Autodesk no. 10 out of 360 top US companies. 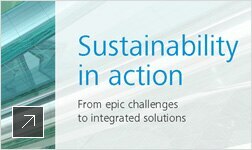 DJSI World Index and DJSI North America Index included Autodesk for the fifth consecutive year. FTSE4Good Index Series included Autodesk for the sixth consecutive year. FORTUNE Magazine ranked Autodesk no. 70 of “100 Best companies to work For”.